Arlington Machine and Fabrication prides itself on providing our customers with the very best in total customer satisfaction and using all the resources at our disposal to keep our customers not only returning but helping us with potential new business. Arlington Machine and Fabrication is housed with Chamberlain Mechanical Service which is our full service commercial HVAC partner. Chamberlain Mechanical Service specializes in the installation, service, and repair of all of your company’s HVAC, plumbing, and control needs. 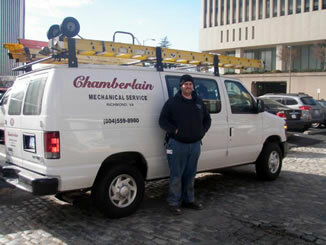 Chamberlain Mechanical Service has highly skilled, factory trained technicians who take great pride in doing the job correctly and efficiently as well as providing your business with the best in total comfort.